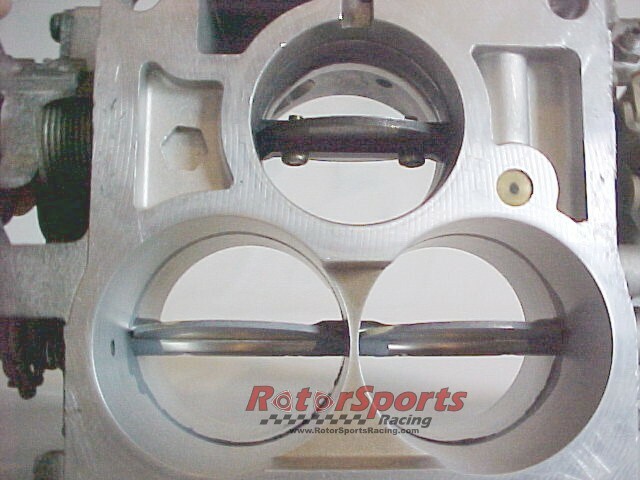 RotorSports Racing offers Extrude Hone services for serious rotary engine enthusiasts. You can enlarge the passageways within the upper and lower intake, and if needed, the throttlebody. Portflow is matched and surface contour is improved. The result is more power through balanced airflow and efficiency. Services can be performed to 13B and 20B intakes to maximize cfm airflow. Engine porting can be matched with intake porting for maximum benefit. Mazda rotary intakes already flow pretty well, but there is room for 5% to 20% increase in airflow by Extrude Hone. A good engine port design in balance with the intake and throttlebody yields increase in horsepower. Extrude Hone has developed a process that enhances the performance of high-performance automobile, motorcycle, watercraft, and aircraft engines. In addition to meeting the rigid requirements of professional race teams and production automotive manufacturers, extrude hone is an effective process for the performance enthusiast. Another popular application is strengthening a component. The process eliminates stress risers, such as burrs, from edges and surfaces where a crack can occur. 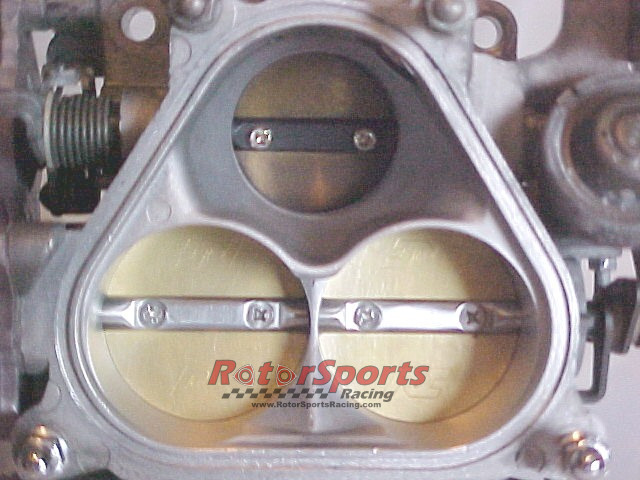 We offer a complete match porting service with any Stage 2 or above engine rebuild by RotorSports Racing. This includes the big bore throttlebody modification, extrude hone services to the upper and lower intake, and matched engine porting on Stage 2 or above engine build. Optional coatings available not included.